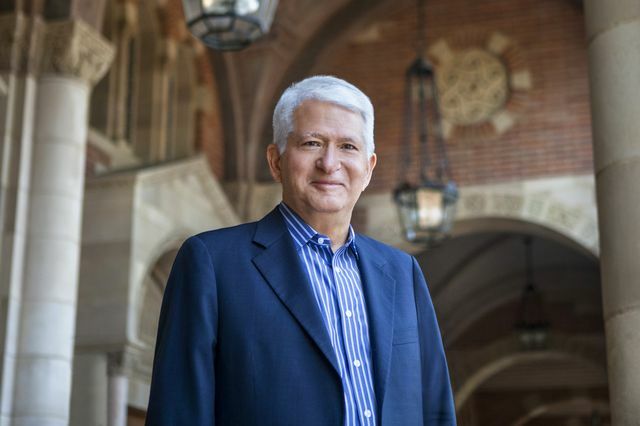 Gene Block is the chancellor of UCLA. This column appeared in the January 2018 issue of UCLA Magazine. Years ago, as a young neuroscientist studying crayfish, I developed an incredible respect for the brain’s complexities. I found that even a simple reflex — one that allows the animal to flip its tail when in danger — was regulated by the brain. When the crayfish moved voluntarily, I learned, the reflex was disabled, preventing an unintended tail flip. Clearly, nothing is simple when it comes to the brain. In humans, brain science poses arguably the greatest challenge of any field in contemporary science. While today’s research holds promise, there is still so much we don’t know. The horrible scourge of depression affects an astounding 350 million people worldwide, yet it is still not fully understood. That’s why UCLA is using its research and resources to do something about it — both here on campus and beyond. This past fall, we began offering voluntary screening and treatment for depression to the entire incoming freshman class. We believe no other university has ever attempted anything of this type or on this scale. In the months and years to come, we will make these screenings available to the entire UCLA community. This step signals a new phase in UCLA’s Depression Grand Challenge, which has brought together 100 researchers from more than 25 academic departments so far to improve how we detect and diagnose depression. The goal with our Grand Challenges — another of which centers on environmental sustainability in Los Angeles — is to use UCLA’s tremendous resources to help solve some of society’s toughest problems. Depression affects one in four women and one in six men, at all ages. This past summer, an initiative of the One Mind Institute, a public nonprofit aimed at raising awareness and funding research into brain illness, found that depression has a tremendous financial cost as well, leading to hundreds of billions of dollars in lost productivity here in the United States alone. The fact that depression has not been identified as our nation’s number-one health issue truly astounds me — and that’s why we’re working so hard on it. At its core, our work involves a genetic study of 100,000 people — some who suffer from depression, others who don’t and still others who are at risk. With volunteers being recruited from throughout the University of California’s 10 campuses and five medical centers, we hope the new knowledge we gain as part of this collaborative approach will be transported to other campuses,communities and countries around the world. Another key piece of the Depression Grand Challenge is working to eliminate the stigmas related to brain health — stigmas born of mis-perception and ignorance. Our goal is to replace those stigmas with true societal understanding. 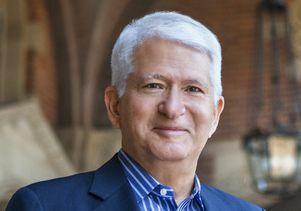 It makes sense for this work to happen at UCLA, where we are continuing a track record of leadership in brain health research that dates back to 1949, when UCLA psychologist Edwin Shneidman took up the study of suicide. He found that many people were acutely suicidal for only a brief period of time — and that active intervention could prevent many suicides from happening. Shneidman went on to co-found the nation’s first comprehensive suicide prevention center here in Los Angeles. Thirty years after the center’s opening, L.A.’s suicide rate had dropped by half. This type of work is our duty as a public university, particularly one that emphasizes service and civic engagement with our community. Watching our students lean in to do their part in the Depression Grand Challenge makes me confident our work will continue well into the next generation. I have no doubt we are on the right path.